This sign is for Ken L Biskit Thermometer. The sign’s colors are blue, yellow, red, and white. 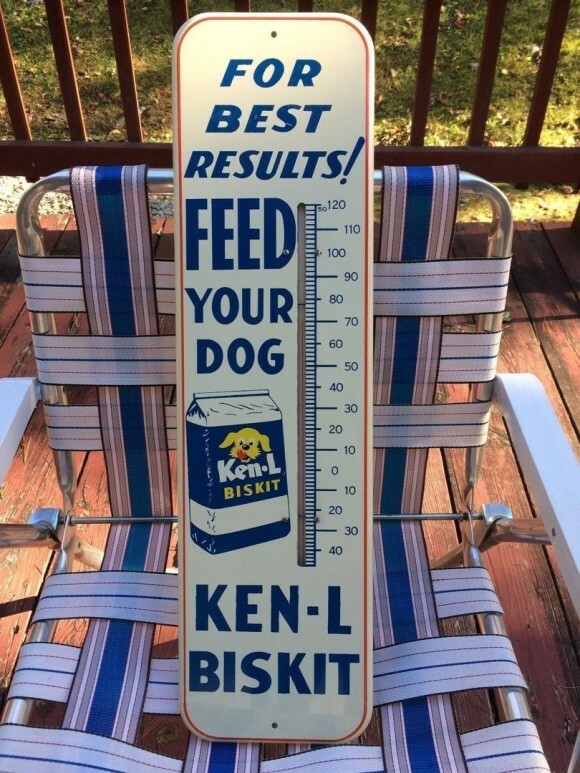 The text on the sign reads: For best results feed your dog Ken-L Biskit. The sign shows a thermometer with text to the left side.